The GREATest BRITAIN Road Trip, my favorite destinations in England, Wales and Scotland: read part 1 about Bruges, Dover and Stonehenge here and catch up on part 2 about the Roman city Bath here. Wales is one of those countries that people tend to forget exists, which is a real shame. I admit, before my first trip there a few years back, I had no clue where it was, what it was and that it boasted such stunning national parks. But now that I am the wiser, I did not want you to miss out on this underrated little country west of England. 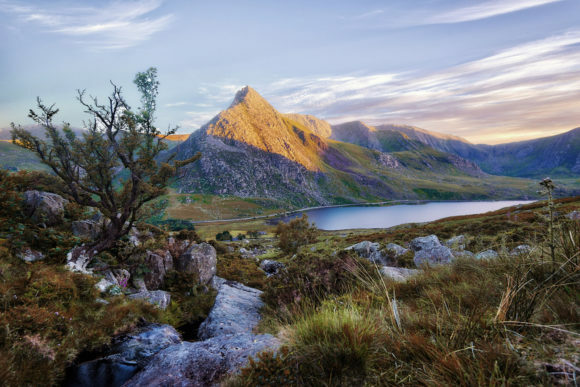 From cozy cities to sandy beaches, mountains ranges, lakes and the smallest house in Great Britain- Wales has got it all. Unfortunately the language looks as if someone sat on a keyboard and just went with it but every street sign and landmark is available in English as well. 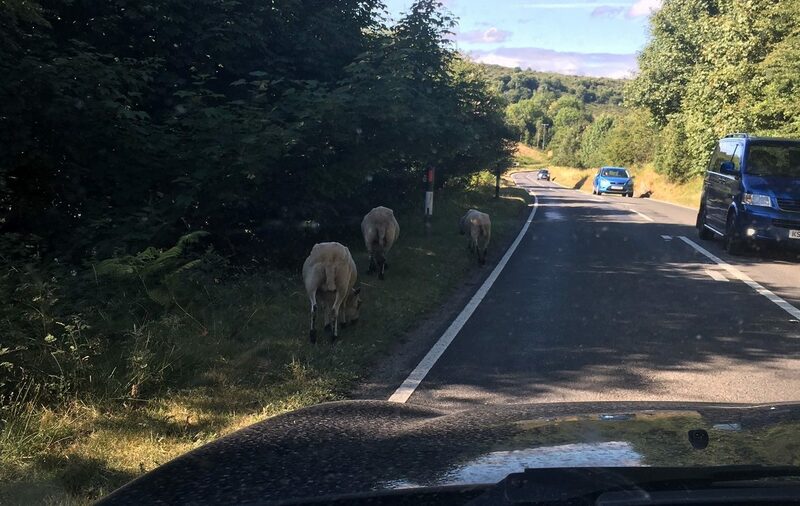 Fun fact: as you drive further into the country, you will notice that the signs switch from English first to Welsh first and you will be more likely to hear someone speak it in every day situations. Its comparatively small size is perfect for a one to two week round trip. Find some must-sees below, sorted by location headed north. Start your round trip with a relaxing day by the beach on Barry’s Island. There you will find the best fries, ‘chips’, in Wales, an arcade, a plain old beach with blue water and low cliffs to dive in from. On gloomy days, it has an eerie atmosphere to it but we later found out that a serial killer insisted his ashes were spread there so maybe that’s responsible for it. Brecon Beacons is a hiker’s paradise but can also be discovered via houseboat (a dream of mine I have yet to cross off my bucket list) or mountain bike. 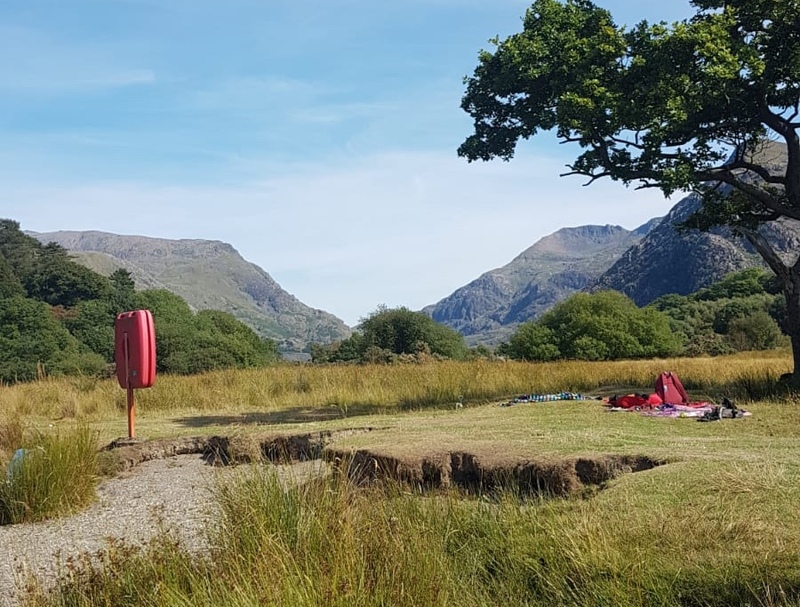 The Central Beacons is the highest mountain range in Southern Great Britain and the entire parks spans 520 miles altogether- that’s a lot of space to (quite literally) dive into nature. 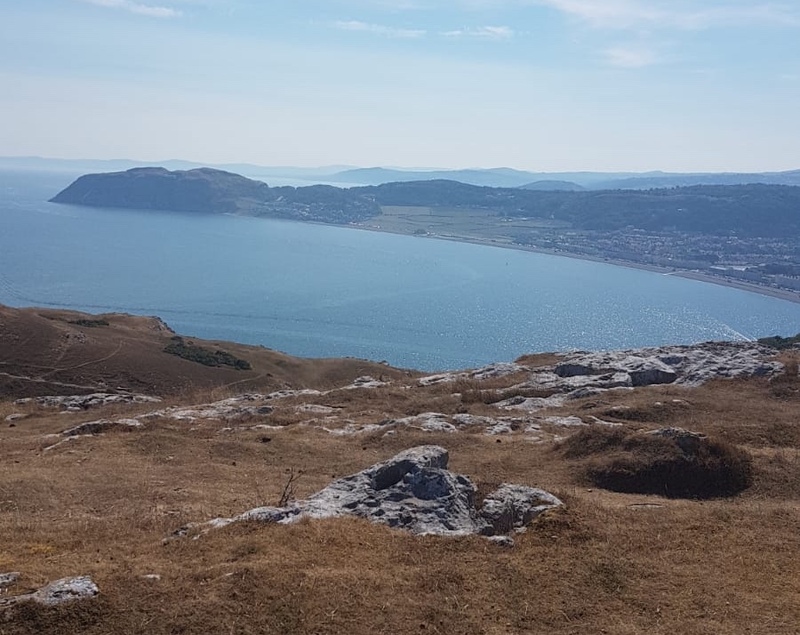 The park offers walks and hikes for all levels of ability with beautiful and diverse sceneries from old red sandstone to carboniferous limestone, wooded gorges, caves and waterfalls. The meadows in the lowlands are juicy green and specked with happy sheep. Check out their website for info on hiking routes and more. Don’t forget to visit Brecon, a thriving market town that has fantastic brownies, an art gallery, romantic canals, a little castle and a large Morrisons (supermarket) to get you prepped for the hikes ahead. Snowdonia National Park in the north of Wales is famous for being one of Britain’s ‘breathing spaces’. 9 mountain ranges, some peaking at more than 3,000 ft., cover half the park and attract approximately 6 million visitors every year. The landscape varies between lakes, mountains, waterfalls, valleys and so much more. 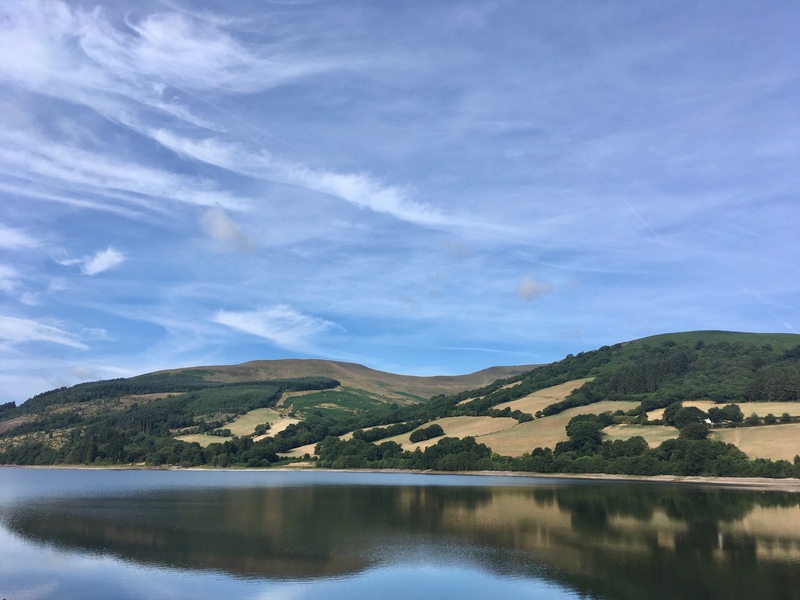 Just like Brecon Beacons, it’s the perfect spot for hiking, cycling and other nature activities helping you rewind far away from the troubles of daily life. 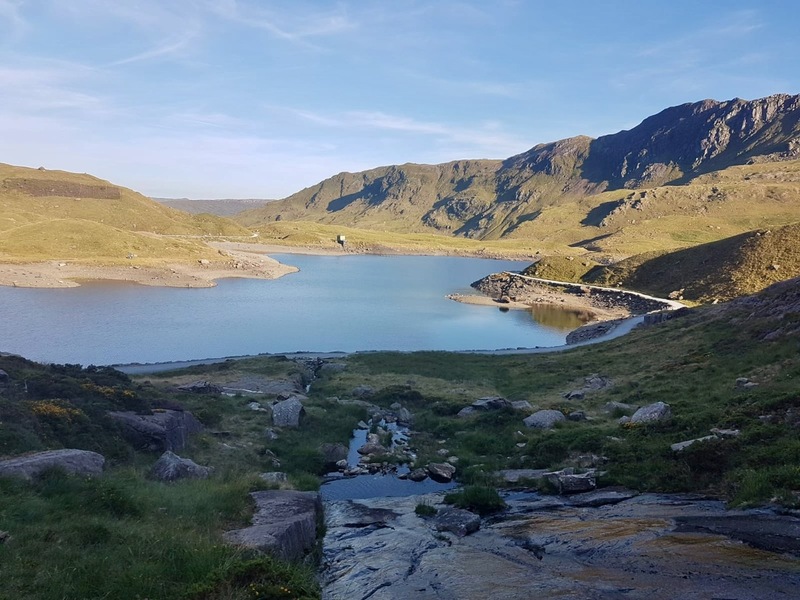 Hiking Mount Snowdon is a circa 4-hour round trip if you park at Pen-y-Pass Car Park, right in front the youth hostel. Parking isn’t cheap though and it’s often full early in the day but parking in Llanberis and taking a bus up the hill is an option as well. If you don’t want to walk, you can also take a train all the way up. Llanberis is at the foot of Snowdon, merely a 12-minute drive from the Snowdon parking lot. A little train takes you on a round trip along one side of the stunning lake. On the way back, you can get off one stop early and visit the free Slate Mining Museum featuring replicas of miners’ houses, coal mines, a blacksmith workshop and much more to give an insight into the miners’ daily lives. 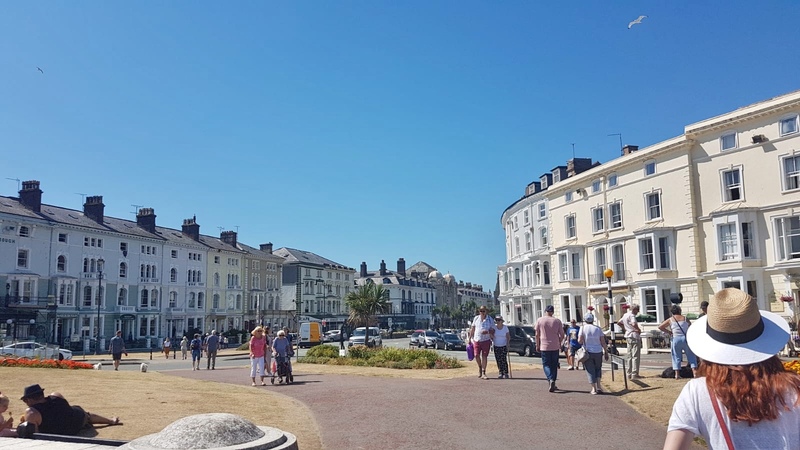 Llandudno in the north is the perfect seaside town and one of the largest in the country. It offers offers excellent opportunities to go shopping, stroll along the beach, eat fresh mini donuts at the California-esque pier or explore some more nature. A cable car or walk takes you up a little mountain past a ski resort (yes, there is actual winter skiing here!) offering spectacular views over the coast and its cliffs. Conwy is a cozy little World Heritage town on the north coast only 15 minutes from Llandudno. 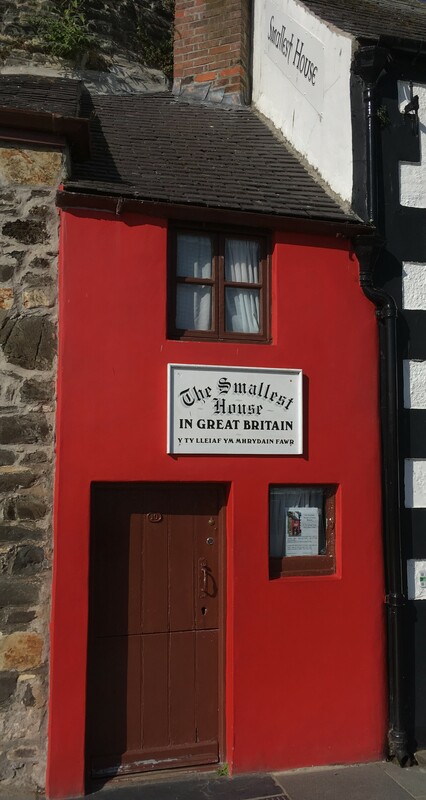 While there might not be enough to do for a week’s stay, it’s certainly worth driving through, if only to visit the smallest house in Great Britain, which looks normal-sized without any humans to compare it to but trust me, it’s tiny. 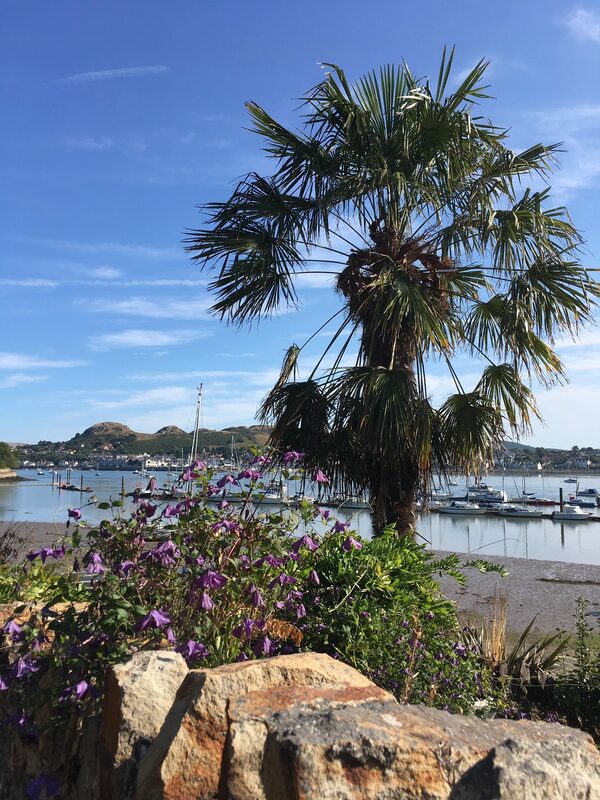 Conwy also has palm trees and a patisserie I sometimes consider driving back for. Yes, driving to Wales just for a pastry and then back home for work the next morning. I haven’t done it yet but the raspberry cheesecake would be worth it. A string of well-preserved walls wrap themselves around narrow streets stuffed with historic buildings and a brooding medieval castle. Visit llandudno’s official site for more info on the two towns and their histories. 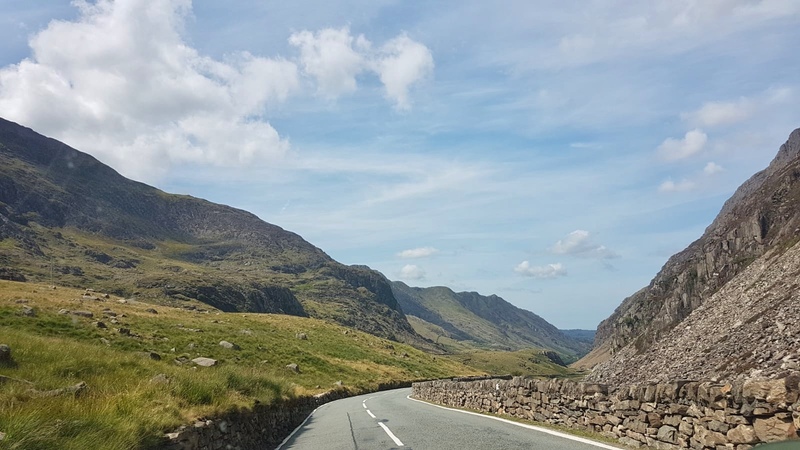 Road tripping the country via public transport is possible as there are buses that even take you up to the base of Snowdonia but hiring a car might be the more comfortable option and depending how many people are traveling with you, it will probably not be much more expensive if at all. The easiest way to book is via booking.com or airbnb. If you’re looking for budget-friendly accommodations, you should check out the English Youth Hostel Association, YHA. They have hostels all over England and Wales, some hidden in away behind untouched nature, others right in the city centers. Part 4: Lake District, England is coming soon! Author’s profile: Leonie is a poetry-loving literature student with a passion for small towns, road trips, and self-timering photos of her back where she acts like she has no idea a photo is being taken even though she just spent 25 minutes leaning her phone against a patch of grass. When she isn’t hopping from one bargain flight to the next, she is making sure you’re hanging with the locals and staying updated on events in your area. 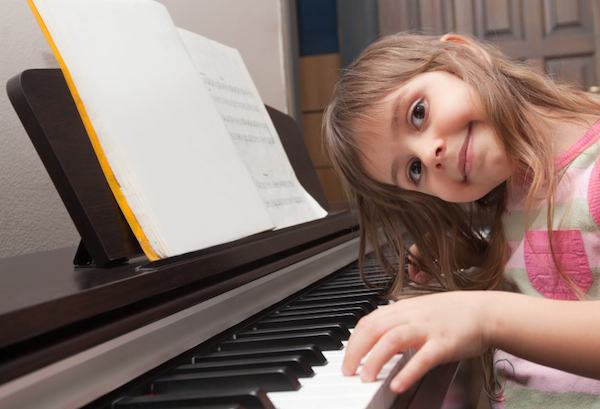 Research has shown that children who learn to play a musical instrument tend to get better grades in school.